Hémisphère makes each moment refreshingly elegant. In the spirit of Waterman innovation, it redefines timeless lines with a new focus on streamlined simplicity. Striking clean design and noble materials come together for a delightful writing experience to inspire your most creative thoughts. -The Finish Indulge in exquisite refinement and effortless sophistication with the refined, rippled strokes of this iconic palladium plated chiselled wave design. 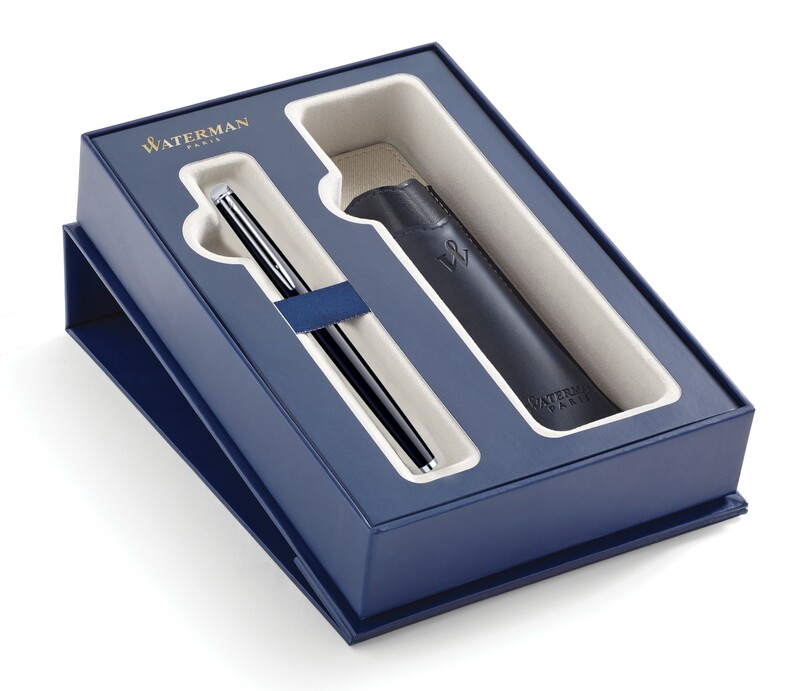 -The Nib WATERMAN Rollerball pens unite the tradition of liquid ink with ultimate comfort and convenience. The writing experience is enhanced by the rich intensity of vivid ink colours.